It is estimated that some three million people died in the Soviet forced-labour camps of Kolyma, in the northeastern area of Siberia. 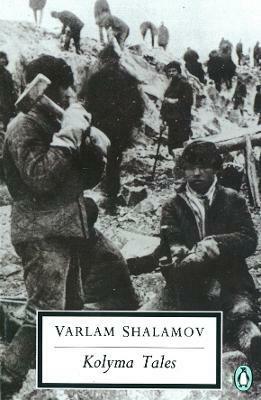 Shalamov himself spent seventeen years there, and in these stories he vividly captures the lives of ordinary people caught up in terrible circumstances, whose hopes and plans extended to further than a few hours This new enlarged edition combines two collections previously published in the United States as Kolyma Tales and Graphite. It is estimated that some three million people died in the Soviet forced-labour camps of Kolyma, in the north-eastern area of Siberia. Shalamov himself spent seventeen years there, and in these stories he vividly captures the lives of ordinary people caught up in terrible circumstances, their hopes and plans extending no further than a few hours. Varlam Shalamov (1907-1982) was a Russian writer, poet, and journalist. He survived 17 years of incarceration in the Gulag for speaking out against the Soviet Union. His collection of essays, Kolyma Tales, details his experiences under the Soviet government. John Glad (1941-2015) was an American scholar who specialized in Russian literature. He taught Russian at the University of Maryland and Rutgers University. Additionally, Glad was a notable translator of speeches by Mikhail Gorbachev, and also of Russian literature, particularly the works of Alexander I. Solzhenitsyn and Varlam Shalamov.